Both rectified images of scanned plans (TIFF/JPG/BMP) and CAD drawings (DWG/DXF) can be used as mapping bases. There are mapping classes for line and area mapping, image and vector symbols, detail photos as well as annotation and dimensioning classes. 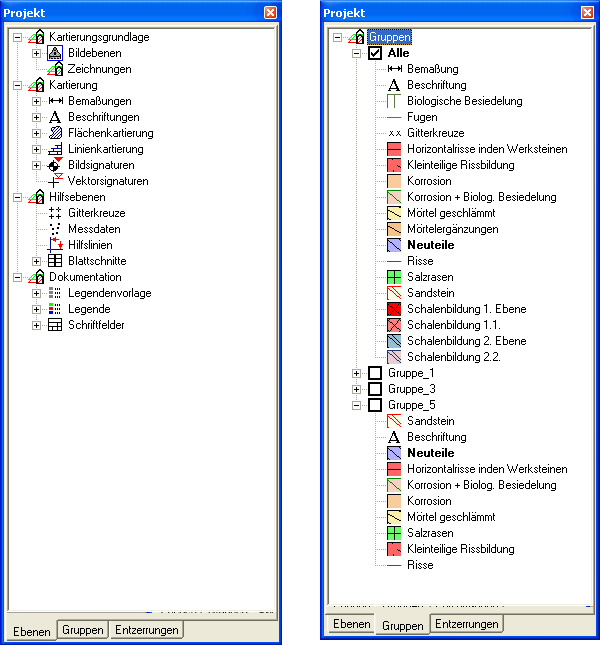 In your project mapping classes can be used for different mapping themes (e.g. condition and damage mapping, planning of conservation measures and billing) and can be grouped individually. metigo MAP allows you to import the structure of existing mapping projects (mapping layer, legends, title blocks). metigo MAP can manage user defined templates of legends, title blocks and data sheets for an indivual layout of your mapping projects. Optionally, quantities can be integrated into legends. Besides, you can use comprehensivly legend and title blocks. 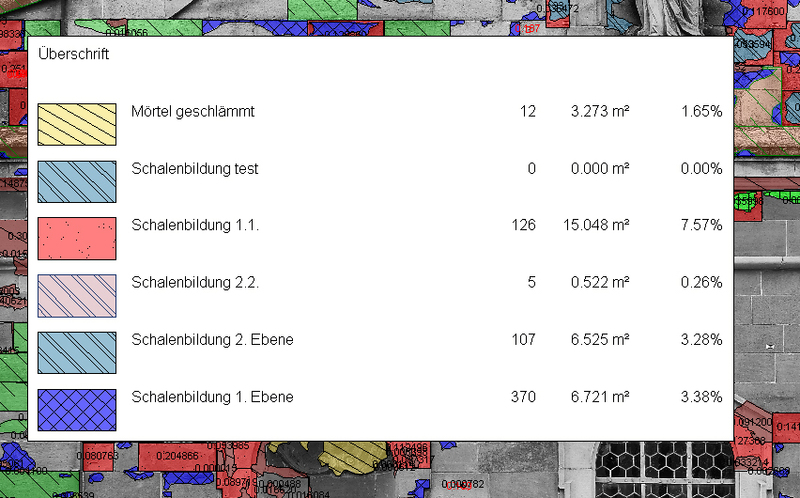 metigo MAP provides individual configuration of mapping outputs with data sheets in a consistent layout. 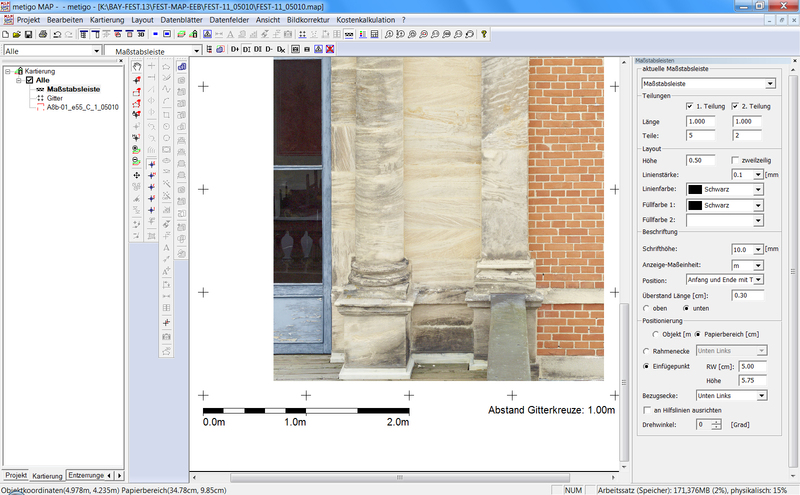 According to requirements, users with different rights can be created for several conservators and contractors within a mapping project. Creating or updating an element, the user will be saved. Thus the recorded damage progress during loans or mapping of measures can be analysed and challenged later. 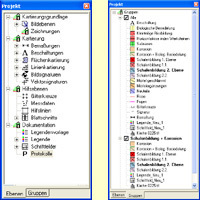 For larger projects involving several parties, administrators as well as users can be provided with restricted revision rights which permits by example just the deletion and modification of some mapping elements. For periodic use, such as the recurring conservation measures at various areas of a façade (plinth, window jamb, cornice etc. ), the condition of exhibits in loans or different features and layers, mapping classes and groups can be copied with a single operation. Scale bars are available in a new auxiliary layer. The scale bar can be individually designed and inserted to the object coordinate system. Therefore, it will be scaled for print and export according to the output scale.